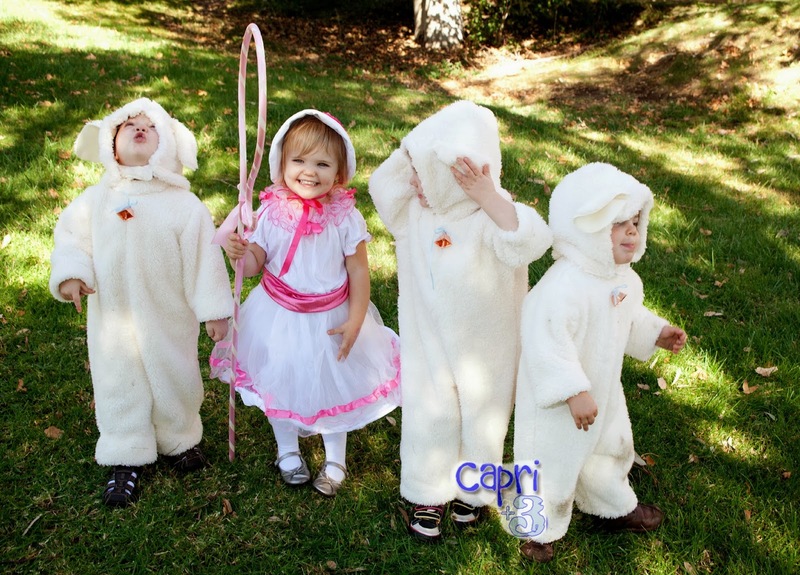 This year, I decided to make sheep outfits for the boys for a Bo Peep and her sheep Halloween costume theme. I spent every nap time for a couple of weeks sewing sheep. 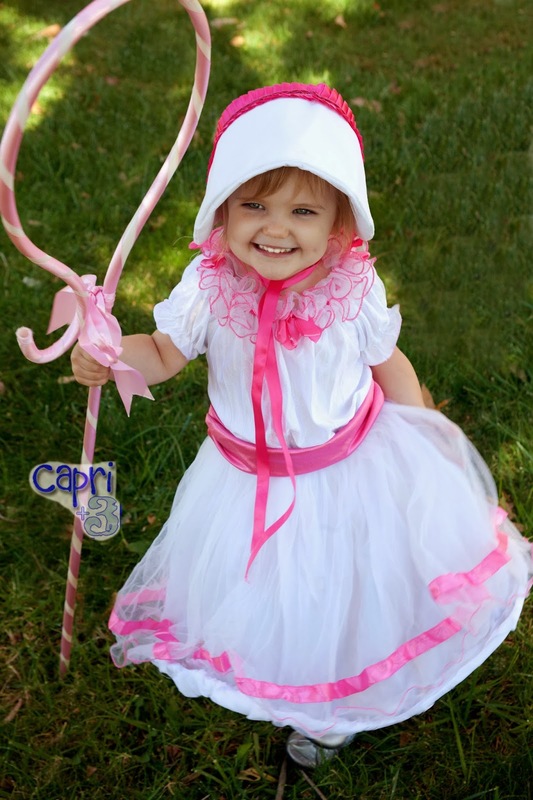 I did not make Capri’s dress, but found it in a girls’ size 14/16 and modified it to a 3T. Then, I made her hat. There was a little trial and error with that until I found a pattern I liked that worked. 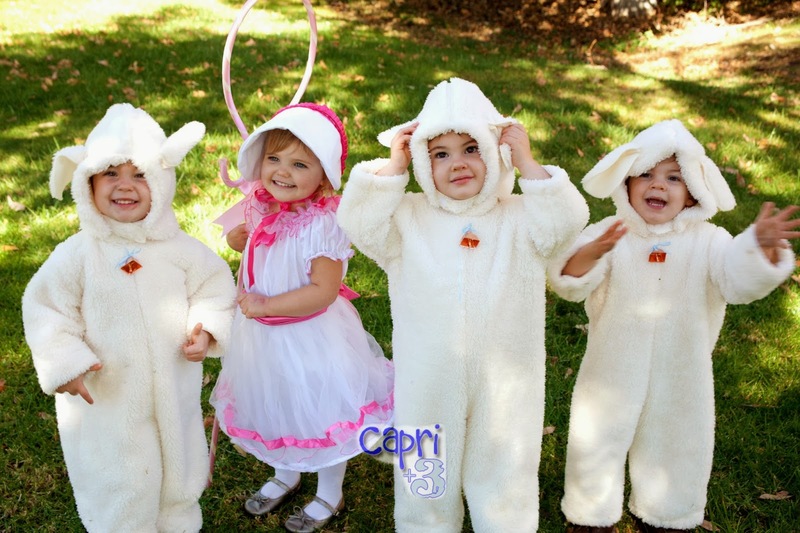 They enjoyed being sheep and Bo Peep for several Halloween themed events this year, which was nice. 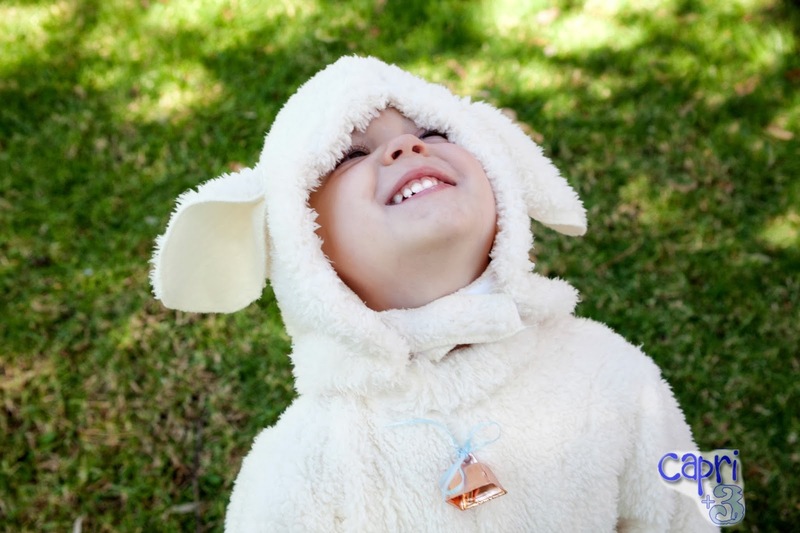 Mia of Mia Z photography did a photo shoot with the Sugar Snaps too. They were not always paying attention to her, which is typical of little ones at photo shoots. During the shoot, a garbage truck pulled up, up the hill behind them (in the opposite direciton of where she wanted them to look). She began to sing and dance, “I’m a garbage truck, I’m a garbage truck!,” and managed to get them all to pull their eyes off of the garbage truck and look at her. They could not figure out why she did not look like a garbage truck, but were intrigued by her song and dance. I was impressed as always by her enthusiasm. As a Mama of twins, she knows how to get the attention of multiples (who are often distracted by their siblings and the environment around them). If you ever get a chance to do a photo shoot with Mia, take it! She is wonderful working with children and families. Can you spot the wolf in sheep’s clothing? We had a wonderful “Halloween season” this year. 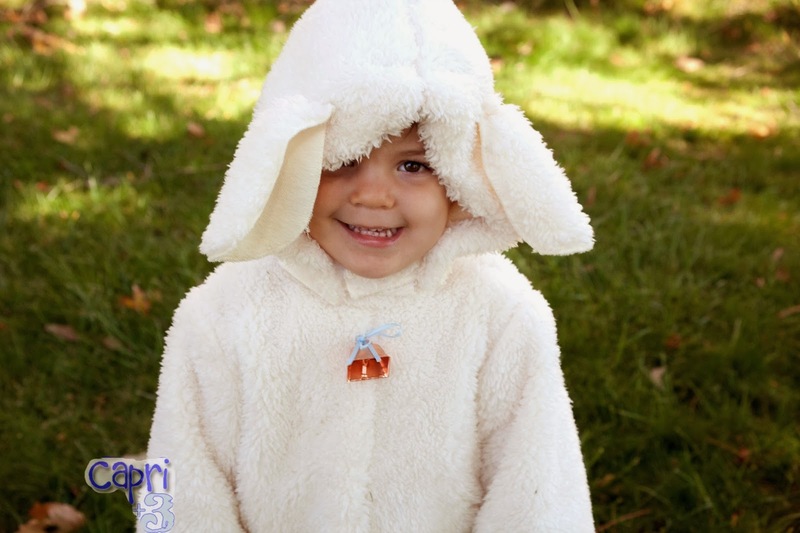 I loved the Fall and Winter seasons before we had children because they are festive and full of community spirit. Now that the Sugar Snaps are part of our lives, it is even more fun. 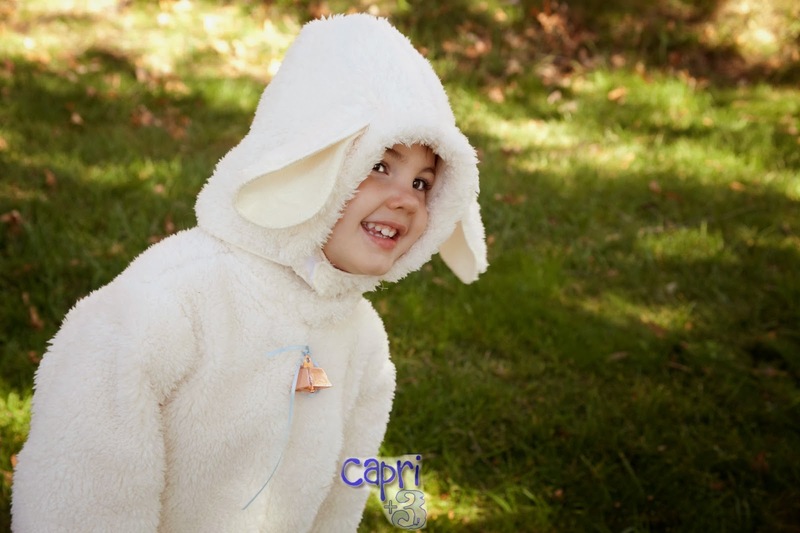 Did you enjoy Halloween this year? Did our little ones dress up? I would love to hear from you. I enjoy reading each comment. I love your theme and costumes – great job!! We love Halloween having met at a Halloween party, then re-meeting years later at a Fall Wedding. Our daughter's favorite movie was 'The Nightmare before Christmas' so my husband built full size porch decorations of Jack, the Mayor and Zero. We get lots of trick-or-treaters every year and some come back to see the decorations. I'll try to send a picture sometime. That is great that you met and reconnected at two Fall events. That makes this time of year even more special. It is wonderful that your house is 'that house' that people come to year after year to admire the decorations. I imagine your daughter (and the community) was very impressed with the full size porch decorations. So much fun! I would love to see a picture. Very cute photos! The kids are darling in those costumes. Thank you so much Noreen. They had a lot of fun dressing up. Oh my gosh! What adorable kids!! thanks for linking this up for MMM link up party! I now have my dose of cuteness!! Thanks for hosting the MMM link up party. I had fun joining in. Such darling costumes. They’ve grown so much, and are so cute!